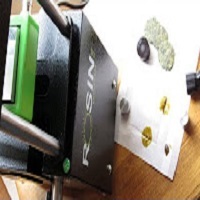 The Rosin Tech Smash Rosin Press reviewed for personal home use. Visit https://www.rosintechproducts.com/col… to learn more or purchase on. Today we take a close look at the Gold Series Personal Manual Rosin Press from Rosin Tech Products. Billed as a personal rosin press using a manual pump to achieve 2 tons of pressure and dual microprocessor controlled heated plates for even temperatures up to 405° F.